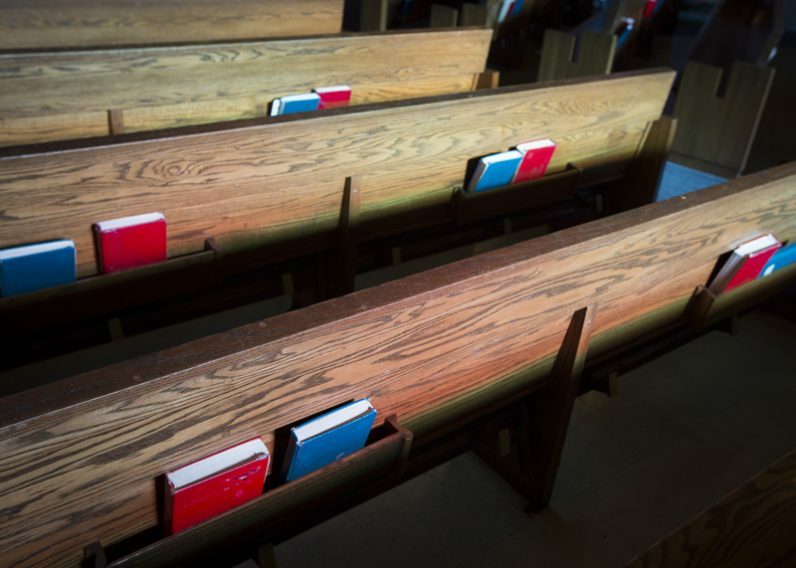 Pew’s studies in recent years have shown a decline in the number of Americans who believe in God with absolute certainty and a growing number conversely having doubts in God’s existence. This led researchers to question what exactly people are rejecting: a higher power or spiritual force or the Christian idea of God. The vast majority — 90 percent — believe in some kind of higher power. Fifty-six percent profess faith in God as described in the Bible and 33 percent say they believe in another type of higher power or spiritual force. One in 10 Americans say they don’t believe in God or a higher power of any kind. How these numbers break down by religious traditions gets even more interesting. Overall, 80 percent of Christians said they believed in God as described in Bible. This number went up for historically black Protestant traditions, 92 percent, and evangelical traditions, 91 percent, but only 69 percent of Catholics and 72 percent of mainline Protestants had this view. Looked at another way, 28 percent of Catholics and 26 percent of mainline Protestants said they believe in a higher power or spiritual force, but not in God as described in the Bible. On the question of the belief that God is all-loving, all-knowing and all-powerful, 61 percent of Catholics and 62 percent of mainline Protestants agreed, and in line with the trend in this survey, the numbers were up for black Protestant traditions and evangelicals, 91 percent and 87 percent, respectively. These two faith groups also were more likely than members of other major U.S. Christian traditions to say that God has personally protected, rewarded and punished them. When asked about specific views on God, Catholics tended to skew slightly lower than other Christian faiths. Eighty-eight percent believe God loves all people. Seventy-eight percent believe God knows everything and 67 percent believe God has the power to change everything. The belief that God is responsible for all or most things that happen in life is held by 82 percent of those in historically black Protestant churches and 72 percent of evangelical Protestants. More than half of Catholics also see God’s hand at work in all or most things that happen to them, as do 53 percent of mainline Protestants. Among demographic groups, more women than men see God at work in all or most of what happens in their lives. Data was collected in telephone surveys Dec. 4-18, 2017. The sample of error is plus or minus 2.3 percentage points. Pew knows how to collect a representative sample. It’s easy to be Spiritual; it’s difficult to be truly Religious. The former is a practical skill revolving around yourself, the latter is devotion to the Other, a God with immutable standards. The former is set on tenets predicated on feelings, the latter on biblical tenets – 10 Commandments come to mind – that are based on knowledge. Feelings come and go. Knowing what and why you believe what you believe can withstand the winds of modernity and threat of fire. I am not suggesting blind, unquestioning accidence to doctrine! That is opposed to true faith and intellectual honesty. A person of faith must never be afraid to question. We live in difficult and dangerous times. Come Holy Spirit!